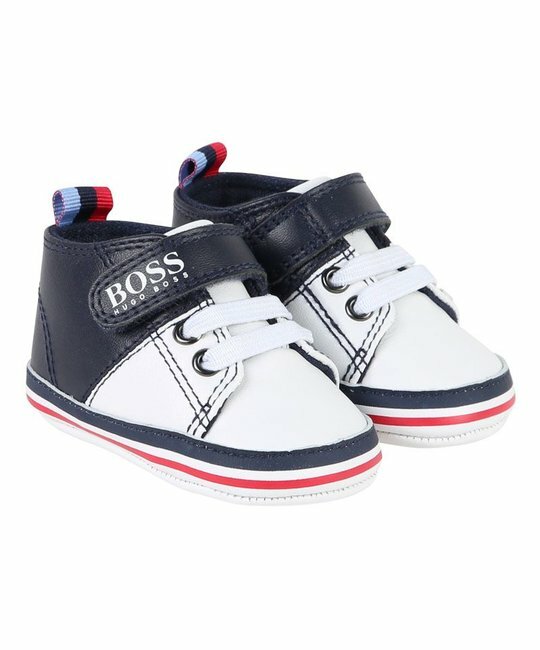 BOSS soft leather navy pre-walker sneakers with logo print detailing. 100% Leather. Imported.